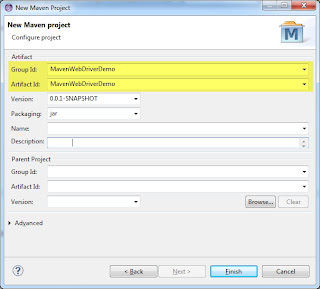 Maven is a build Automation Tool somewhat like ANT. Having use ANT for the previous project wanted to try Maven this time. I thought it would be easy as I know ANT, however it took a while for me to figure out as i didn't find any proper tutorial on net. And this is the reason I am writing new Blogpost. I have just started, So if someone knows the better way to do few things mention here please let me know in comment. 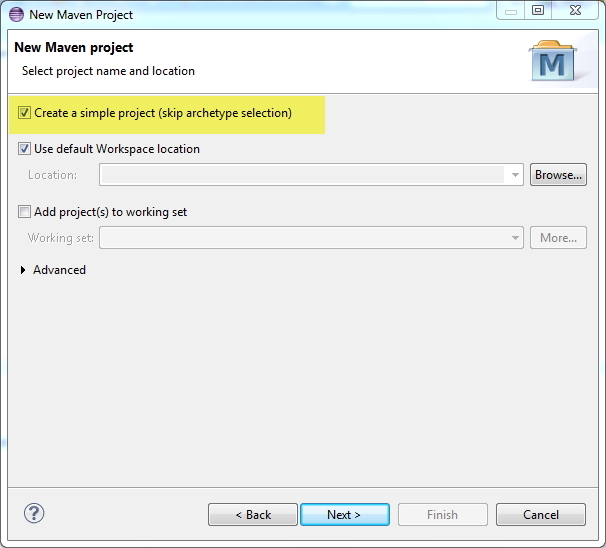 Now let's try setting up new Maven Project for Webdriver using Eclipse. 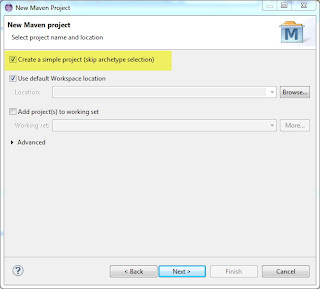 However before you do, you need to download and setup Maven on you local machine. download the appropriate maven from the following site. 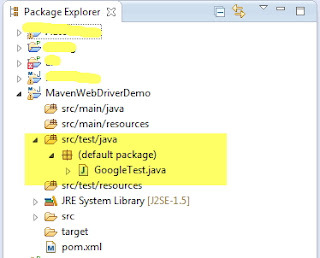 http://maven.apache.org/download.cgi Extract it to some location and setup the PATH variable. If you have done everything correctly, Following command on CMD will let you know the Maven Version. 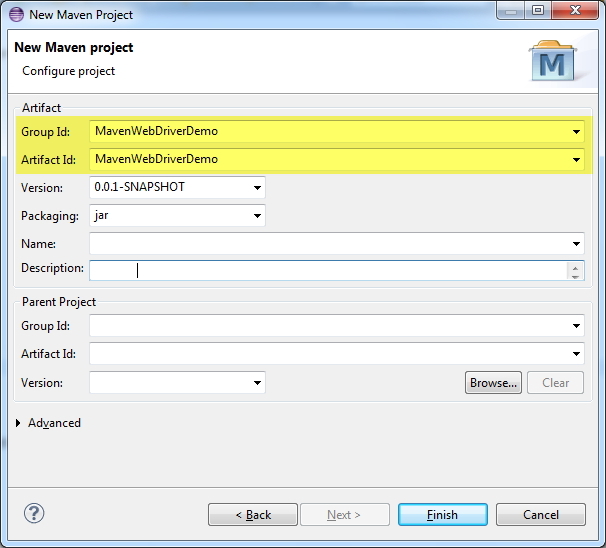 Setup Maven Project for WebDriver. 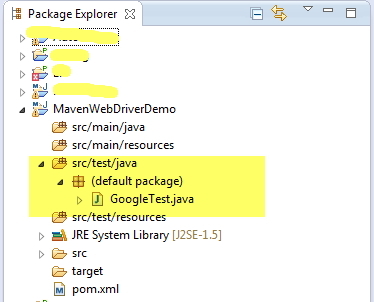 In Eclipse choose New Maven Project and check the "Create Simple Project"
Create New Class named "GoogleTest" under "src/test/java" Copy Following code in it. It will show you some compile time error as we haven't added the dependencies yet. Maven mention all the dependencies in pom.xml file. Please copy and replace the following pom.xml with your project pom.xml file. This is ok but no tests run. This WebDriver+Maven setps are working fine. Could you please let me know what configuration requires to run the same from Jenkins. I have installed jenkins and placed the source in SVN but dont have much idea about how to configure a Build for it. Hi Ajit, I have updated the code, please check.